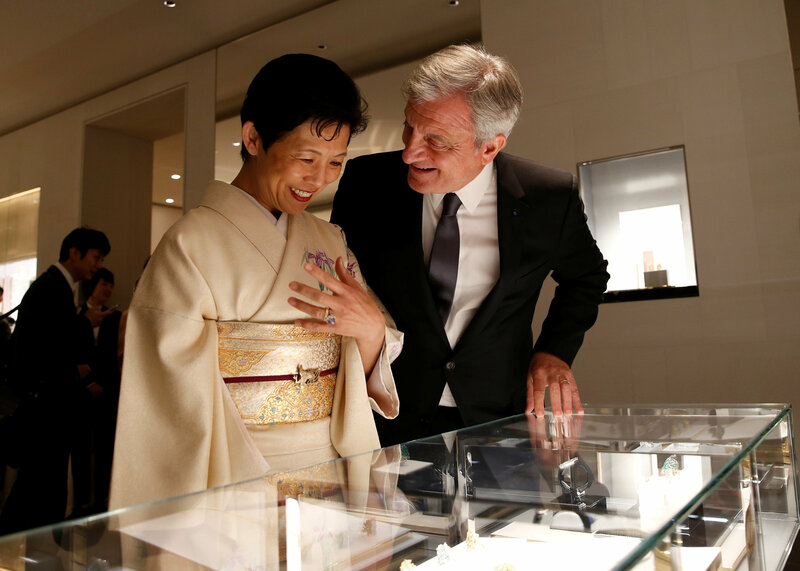 A new shopping complex opened Thursday at the former site of the Matsuzakaya department store in Tokyo’s Ginza district featuring high-end boutiques and a traditional performing art theater targeting both foreign tourists and domestic customers. 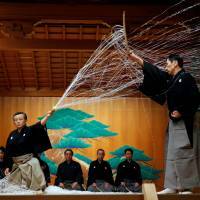 The 13-story Ginza Six complex hosts a total of 241 shops, including flagship outlets for international brands and a noh theater on a basement floor. 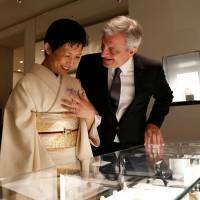 On Thursday, some 2,500 customers gathered for the shopping complex’s opening as officials, including Ryoichi Yamamoto, president of J. 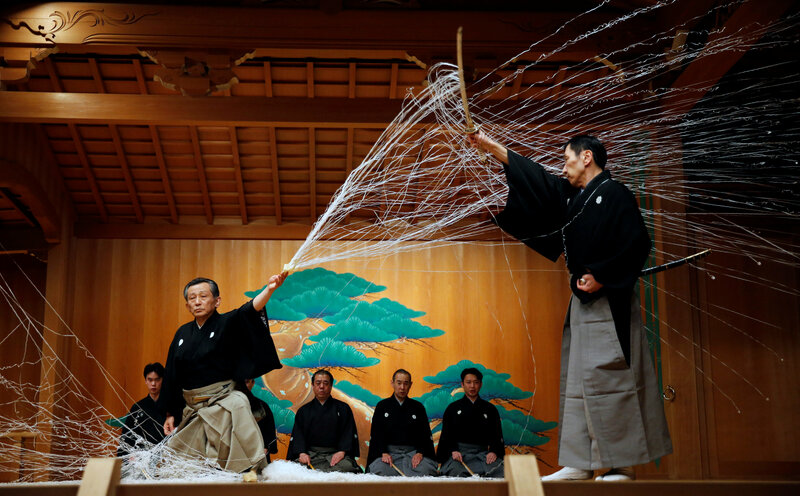 Front Retailing Co., which operates the Matsuzakaya department stores, attended a ribbon-cutting ceremony. The exterior design of Ginza Six was inspired by traditional Japanese noren entrance curtains, while the interior is meant to offer a culture-rich experience with Japanese contemporary art and scenes of nature. The rooftop provides a panoramic view of such landmarks as Tokyo Tower and Tokyo Skytree. 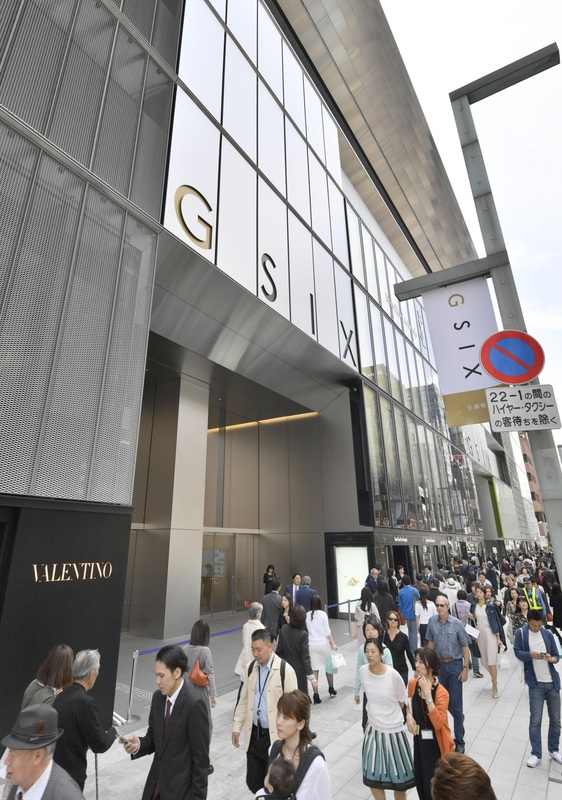 “We hope that Ginza Six will become the core of not only Ginza but also Tokyo and the country,” Shingo Tsuji, president of Mori Building Co., one of the developers involved in the project, said at an opening ceremony this week. 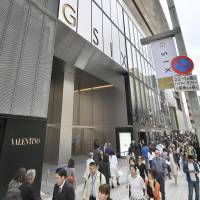 Ginza Six, so named because it is located in the sixth district of Ginza, has a total floor space of around 47,000 sq. meters, with six underground floors in addition to the 13 above-ground floors. Floors seven through 12 are set as office space. To accommodate foreign tourists, a terminal for tourist buses has been built within its premises and a tourist counter for currency exchange and duty exemption services is set up on the ground floor.